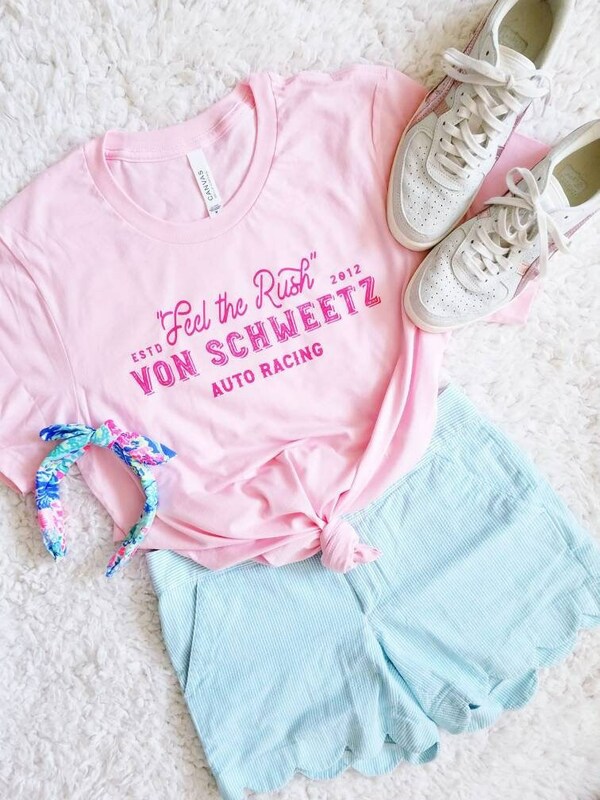 Inspired by the true princess of Sugar Rush, Vanellope Von Schweetz and perfect for any car racing fans. This shirt is for a white shirt with gold foil lettering. 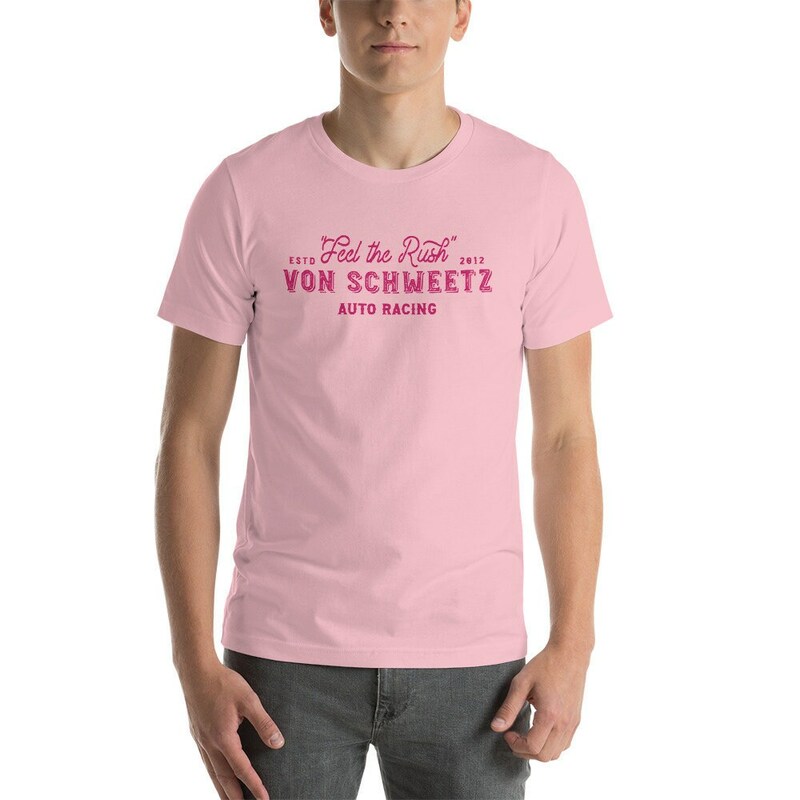 This listing is for a pink shirt with dark pink lettering. Please note that colors may appear differently on your screen than in real life. This item is currently sold out in XS. Please message us if you would like to be notified when it is back in stock.